Ideally located in the French Valley, Avena is nestled against the backdrop of Temecula’s wine country and features spacious two-story floor plans offering a modern feel and pricing from the mid $400,000s. 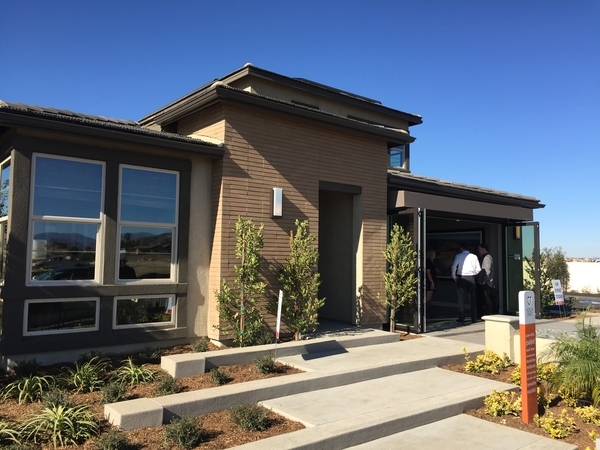 FRENCH VALLEY, CA, January 03, 2018 /24-7PressRelease/ — The grand opening of Avena, a new single-family home neighborhood in the French Valley is slated for this weekend, Saturday, January 6th. Pardee Homes is ringing in the new year with a grand opening celebration to introduce an exciting neighborhood of single-family detached homes priced from the mid $400,000s. Ideally located in the French Valley, Avena is nestled against the backdrop of Temecula’s wine country and features spacious two-story floor plans offering a modern feel. Avena is designed to appeal to savvy home shoppers seeking a convenient location, easy access to an abundance of recreational amenities and the highly-acclaimed Temecula Unified School District. Grand opening festivities will take place on Saturday from 10:00 a.m. to 3:00 p.m. and feature model home tours, complimentary refreshments including gourmet coffee beverages, a kitchen demonstration by culinary consultant Sandy Krogh, music, and face painting and photo opportunities with “Elsa the Snow Queen”. “Whether this is your first home or next home, you’ll discover that Avena delivers on its promise of providing premium value and architecture that is fresh yet timeless,” said Matt Sauls, vice president of marketing and product development for Pardee Homes. “Superbly designed by the award-winning Bassenian Lagoni architectural firm of Newport Beach, Avena’s thoughtful interpretations of Modern Spanish, Modern Prairie and Farmhouse architecture are gorgeous and welcoming. Home shoppers can select from four floor plans with a range of three to five bedrooms, three to four baths and approximately 2,585 to 3,070 square feet. Masterfully designed to suit diverse family needs, the spacious interiors offer innovative features and options that make it easy to personalize your home. The versatile Residence 1 lives as a single-story home yet has a space-enhancing second story offering extensive bonus room space with a half bath. Residence 2 features traditional two-story living with a downstairs den and loft upstairs. Residence 3 and 4 both have four bedrooms, a second-floor bonus room and options for a fifth bedroom. Plan 3 has a three-bay garage and Residence 4 offers buyers Pardee’s exclusive GenSmart Suite featuring its own entrance and spaces for living, sleeping and eating, making it ideal for visiting family or friends or multi-generational living. Like all new homes built by Pardee, Avena features the LivingSmart package of standard and optional measures that increase energy-efficiency, save water, save money and contribute to the homeowner’s peace of mind. LivingSmart homes are designed with five core components: EnergySmart, EarthSmart, HealthSmart, WaterSmart and the newest–HomeSmart bringing smart technology that helps you stay comfortable, in control and connected. Avena’s prime location in the French Valley offers homeowners a relaxed small-town lifestyle with beautiful vistas of the neighboring mountains. Nearby, a wide array of family recreation and shopping cater to everyday needs and wide-open spaces offer a variety of hiking and biking trails. Easy access to major employment centers via the 215 and 15 freeways, the highly acclaimed Temecula Unified School District, with an elementary school located just one-half mile away, and natural beauty of the area make Avena an excellent choice for growing families. For more information call (951) 399-2363 or go to www.pardeehomes.com. Avena is located at 36379 Calle Lisbon in Winchester; from I-15 take Winchester Road east to Thompson Road and turn right then follow the signs to Avena.